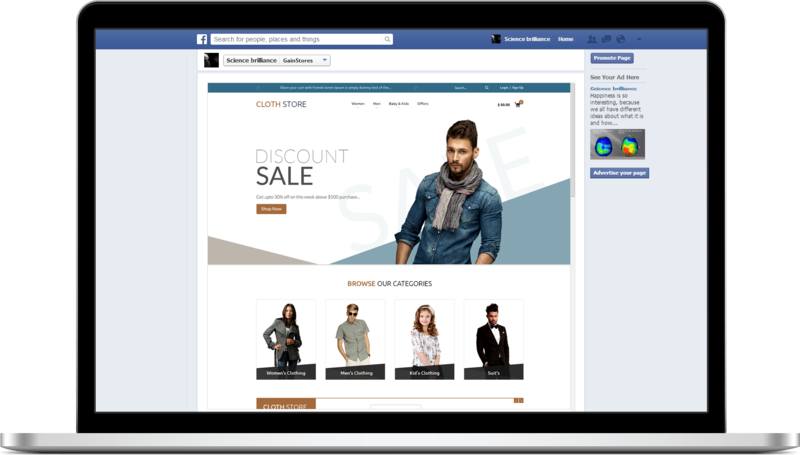 The strongest feature of GainStores is the fact that we allow you to connect your online store to Facebook. The GainStores Facebook app allows your fans to browse and shop directly from your Facebook page. Click “enable” next to the Facebook page in which you’d like to display your online store. Note that only the pages you are an admin for will be listed. Once enabled, you can publish your products in your Facebook store. You can choose the products you will publish, or just publish all of them. 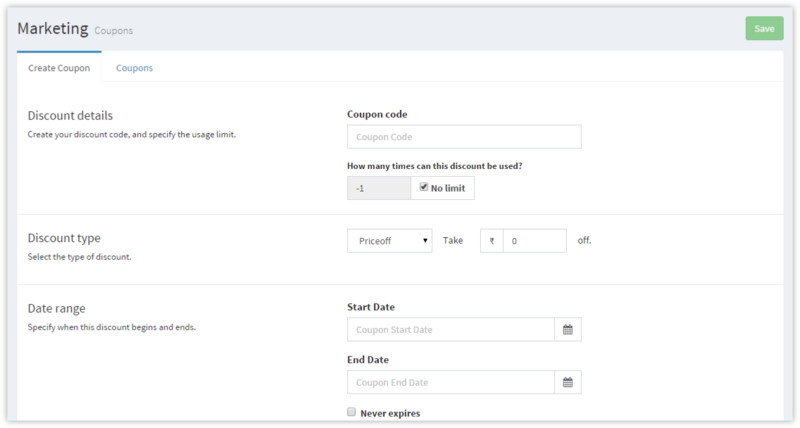 Inform your customers about discounts, offers and sales in your store by creating and publishing coupons. These coupons can be edited and deleted later. Customize your store with the design options specified below to create an attractive store and attract more customers. This option can be used to upload a store logo in the form of a custom logo image, store title or both. Use the checkbox to tick the option you want. Replace the existing banners by uploading custom ones. Change banner slideshow order by dragging and dropping them into desired order. Change the existing color themes for text, background, header, footer and others by choosing the desired color from the color palettes provided for them. The easiest way to create an attractive store is to choose from our collection of many different store templates and choose one that will give the desired look to your store. This is the place where you can see the overall status of your store, such as store performance, customer traffic, store inventory, complaints, feedbacks, etc. Knowing customer feedback will help you understand the problems your customers face while purchasing from your store, and let you know whether they are satisfied with your services. Take a look at the overall number of orders you have received in a particular time period. Based on this, you can find new ways to improve your rates. The brand popularity gives you a percentage view of how popular your brand is among customers within a particular time period. View your total sales based on a particular day till the current time or within a particular time period be it a day, a month or an year. This is the place where you can view, edit, add, search and manage all the products in your store. 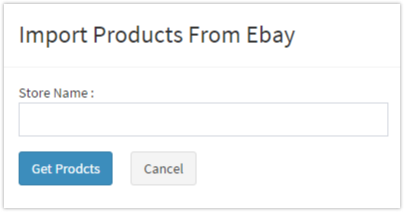 You can import your existing products from eBay to your store by simply specifying the eBay store name and connecting. 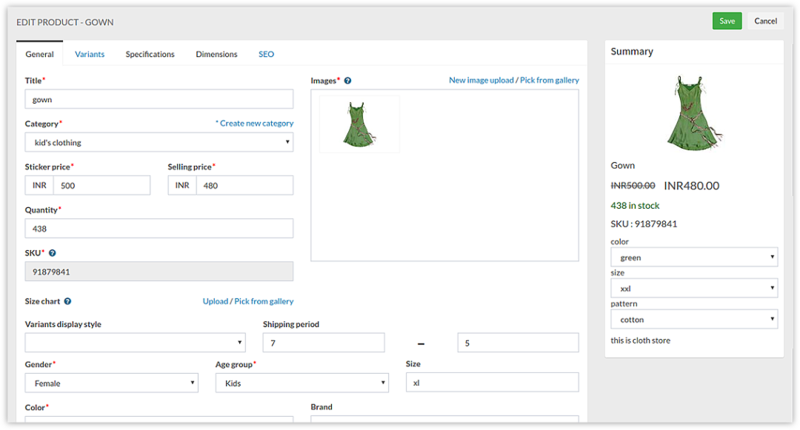 Multiple products can be uploaded at a time using CSV files. This is the place were you can manage the inventory of your store, such as sold items, stock of items, out of stock alerts, orders received, order status, etc. 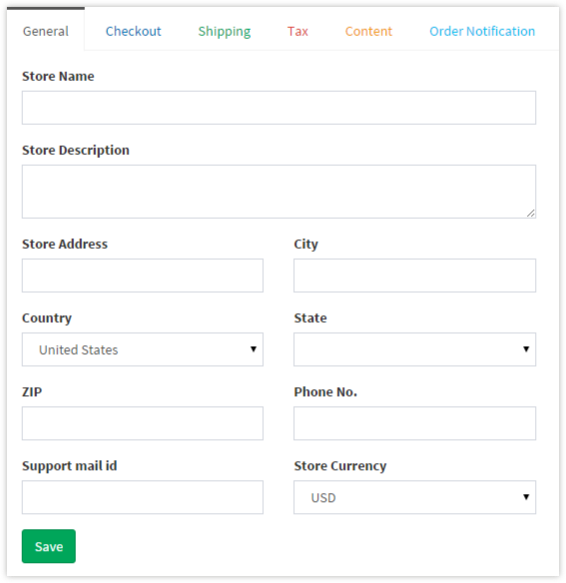 Here you can add or update your store details, such as your store name, store description, store address, payment details and shipping details associated with your store. Keep track of your customer interests, repeated customers, customer feedback and order rate to get an idea about your store's customer behavior. GainStores provides an ecommerce platform that helps merchants to set up their online store for selling products globally with an essential line of features such as Social store (i.e Facebook store), Create coupons, Social media marketing, Manage from mobile, Store analytics & Multiple payment gateways.